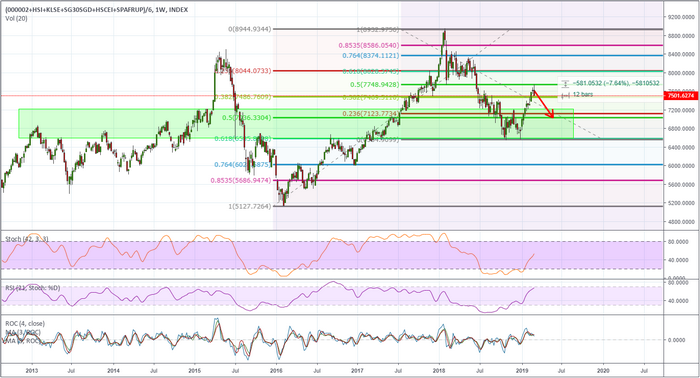 Chinese Economic Data Shakes the Global Equities Markets – Technical Traders Ltd.
March 8th, 2019 may gain some level of infamy over the next few decades. 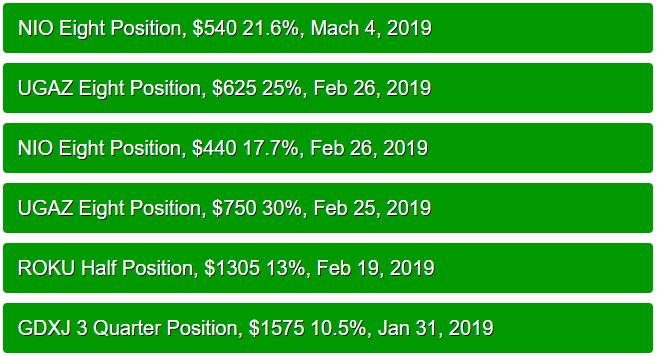 There were two big numbers released on this day, the current Chinese economic data and the US Jobs data for February 2019. Both numbers fell drastically lower than analysts expected and the global stock markets dropped in pre-market trading by more than 1%. Yet, something very interesting transpired through the trading day – a recovery rally. The Chinese economic data was particularly devastating. It leads our researchers to ask a very critical question, “is this going to be an orderly contraction or is this contraction going to extend into more chaos?” Our research team believes the economic contraction in China will extend out into much of Asia and nations participating in the Belt Road Initiative (BRI) over the next 3~6+ months. We believe a natural progression of “protectionist processes” will begin to take place throughout many of these nations as the money spigot from China dries up. We believe this credit contraction and economic downturn will result in an extended repositioning of priorities, assets, and valuations throughout most of SE Asia and India. It could extend into certain areas in Europe and Arabic nations. As these new economic numbers work through the news cycle, we’re confident that a fairly large group of global investors are going to catch quite a few investors/traders off guard. The recent rally in the Asian/Chinese equity markets has prompted a bit of complacency and upward price expectations by investors. The rally, shown below, from early 2019 till now resulted in a +17.7% increase over a period of about 60 days. We are confident this upside move attracted the attention of many global investors who likely piled into the trade expecting a US/China trade deal over the past 2 weeks to relieve any upside pricing pressures. Now that the data is showing greater risk in the Chinese markets and how that may extend out to other regional markets becomes the top consideration for these investors. The fact that the Chinese markets may contract by at least 8~15% over the next few weeks must concern larger investment firms and traders. Depending on their leverage, this could be a complete disaster for some. Any extended protectionist move by China and/or additional pressures on the credit/debt balance could push a new wave of defaults and extended downward pricing pressures. Our researchers believe a move targeting recent October/December 2018 lows is not out of the question. As we’ve been suggesting in our recent research posts, we believe a new capital shift is taking place. We believe investors were willing to take a risk to jump back into certain market segments where new valuation levels presented some clear opportunities (China, Europe, and others). Yet, we also know that extended risks could quickly change this stance. As renewed fear enters the global markets, it is very likely that a renewed “revaluation event” will take place and investors will start to scramble for safety. This is the capital shift that we have been warning about – a dramatic shift of investment capital away from emerging markets and foreign opportunities move into US Blue Chips and Mid-Caps because of the true US Dollar based safe-haven investments. Should our expectations of this dramatic capital shift accelerate over the next few months, we’ll likely see the current downward price rotation in the US stock market end sometime in early April as global capital resettles into the US equities. In the next segment of this research post, we’ll share some critical data that may become a catalyst for the capital shift that we believe is currently taking place.